You can always rely on your friends to loan you a few bucks, pick you up when you need a ride, bail you out, and be there to listen to you. But on the job, your work boots have to be your best friends. 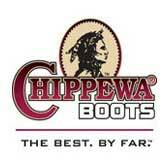 The Chippewa Men's 73020 Black EH Safety Toe 8 Inch Black Boots ... (see full details) (see specifications) #CHP73020. You can always rely on your friends to loan you a few bucks, pick you up when you need a ride, bail you out, and be there to listen to you. But on the job, your work boots have to be your best friends. The Chippewa Men's 73020 Black EH Safety Toe 8 Inch Black Boots do that...with style. These tall loggers are manufactured with black leather, oiled for supple strength and water-resistance. Non-tarnishable, antique brass hardware sets them off, while heavy duty sta-tied logger laces have been waxed, so moisture just rolls right off. Brushed ruby nylex lining resists wear and abrasions to protect the insides of your men's boots. You'll rest on cushioned ortholite texon insoles, which transfers moisture away from your feet, while providing an airy, lightweight base that won't compromise flexibility. The soft footbeds in these shoes are removable, making them easy to clean.The cushioning insoles provide comfort, but the 4 iron rubber/6iron robus (a type of leather) combination midsoles provide bouncy shock-resistance for you, and strong steel shanks take the weight off your legs and feet for fatigue-fighting comfort. Repairable Goodyear leather Welt construction brings the leather uppers and the one-piece Vibram outsoles together with strong stitching. The yellow plug logger outsoles give you strong traction for superior grip, while ASTM F2413-05 I/75 C/75 steel toes and ASTM electrical hazard certification keep your feet and equipment safe. These EH boots are all about safety, and they'll be there to protect you, each and every work day. Chippewa Men's 73020 Black EH Safety Toe 8 Inch Steel Toe Boots are just the right friends to have on the job. Chippewa offers six different variations, so everyone can enjoy great friendship - try this footwear on for size, and also check out their other designs right here at Working Person's Store. I like these boots I choose and am pleased withthe quality of them. I plan on doing much more business here, as the selection is tremendous. Everything I wanted in a logger boot and more. These are very comfortable and soft leather which makes them mold to your foot. I am glad I bought these. These boots are well worth the money. I bought them and the same day took them to work. I was clearing brush and downing trees on uneven soft and sometimes muddy sloped hillside. There was no painfull " break in" period. My feet did not hurt after a full days work. And the best part was that after i was finished working the boots held up and cleaned up very well. Could still wear them out for a night on the town. Chippewa Boots: Men's Steel Toe EH 73020 Black Logger Boots is being added to your cart.